Sheila is a professional performer who is passionate about teaching and enjoys working with people of all ages and levels – whether you or a child in your life have always wanted to play violin/viola or you would like to get back to playing after some time away from it. Sheila maintains a studio in Guelph at the CIG School of the Performing Arts and in Toronto at the North Toronto Institute of Music. 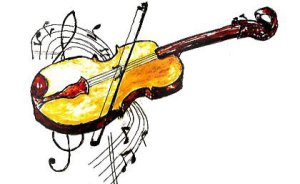 “It is with great pleasure I recommend Sheila Smyth as a violin teacher. At the age of 16 my son chose to play the violin. 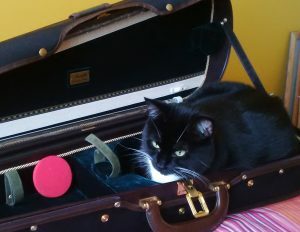 Prior to lessons with Sheila, my son’s only experience was to rent a violin before the start of lessons. The progress my son made during his first year with Sheila exceeded any expectations I had and demonstrated to me what a wonderful teacher she is. Sheila’s patience, commitment, and enjoyable approach allows my son to thrive under her instruction. Watching my son’s confidence in himself grow along with his violin skills was highlighted by the year end recital – what a proud moment for us to witness. Interested in studying with Sheila? © 2019 Sheila Smyth Music. All rights reserved.